Seattle: Zionist colonisation in Palestine began in earnest in 1881, when the leaders of the Zionist Movement in Europe eyed Arab Palestine as an exclusive home for Jews, paying little heed to the indigenous inhabitants of the land. These early ambitions culminated to a bloody, and well-orchestrated terror campaign in 1947-48, resulting in the creation of the state of Israel atop the ruins of the Palestinian homeland. This violent legacy continues to define the state of Israel to this day, through the use of what Israeli historian Ilan Pappe describe as “incremental genocide”. Since then, little has changed except for names and titles. Zionist militias that orchestrated the genocide of Palestinians prior to the establishment of Israel merged together to form the Israeli army; and the leaders of these groups became Israel’s leaders. But the aggressive political approach and military tactics remain unchanged. “Isolating and attacking a certain village or town and executing its population in a horrible, indiscriminate massacre was a strategy employed time and again by Zionist bands to compel the population of surrounding villages and towns to flee,” said Ahmad Al Haj, a Palestinian historian and an expert on the Nakba, the ‘Catastrophe’ that befell Palestinians in 1948. Al Haj’s proficiency in the subject began 70 years ago when, as a 15-year-old, he witnessed the massacre of Beit Daras at the hands of the Jewish Haganah terrorist group. The destruction of the southern Palestinian village and the killing of dozens of its inhabitants resulted in the depopulation of many adjacent villages, including Al Sawafir, Al Haj’s home village. “The notorious Deir Yassin massacre was the first example of such wanton killing, a model that was duplicated in other parts of Palestine,” Al Haj said. The ethnic cleansing of Palestine at the time was orchestrated by several Zionist militias. The mainstream Jewish militia was the Haganah, which belonged to the Jewish Agency. The latter functioned as a semi-government, under the auspices of the British Mandate Government, while the Haganah served as its ‘army’. However, other breakaway groups also operated according to their own agenda. Two leading bands among them were the Irgun (National Military Organisation) and Lehi (also known as the Stern Gang). These groups carried out numerous terrorist attacks, including bus bombings and targeted assassinations. Russian-born Menachem Begin was the leader of the Irgun, which along with the Stern Gang and other Jewish terrorist groups massacred hundreds of civilians in Deir Yassin. 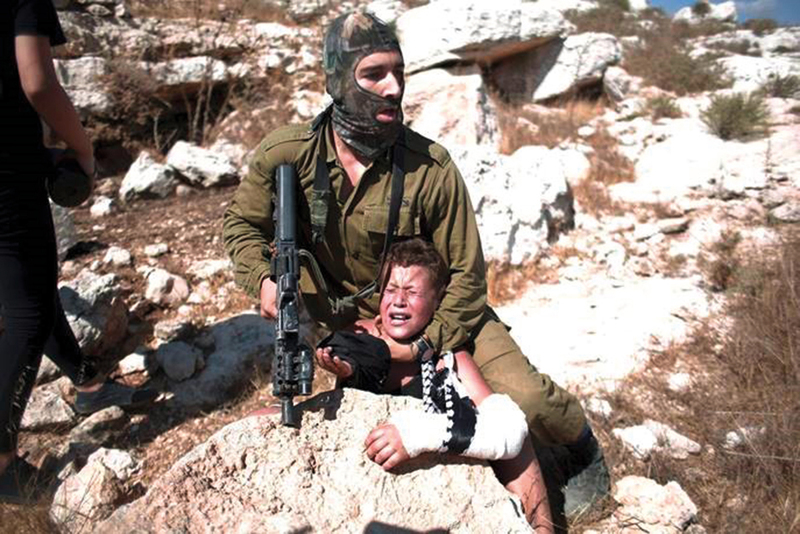 “Tell the soldiers: you have made history in Israel with your attack and your conquest. Continue this until victory. As in Deir Yassin, so everywhere, we will attack and smite the enemy. God, God, Thou has chosen us for conquest,” Begin wrote at the time. He described the massacre as a “splendid act of conquest”. Nearly 30 years later, Begin became the prime minister of Israel. He accelerated land theft of the newly occupied West Bank and East Jerusalem, launched a war on Lebanon, annexed occupied Jerusalem to Israel and carried out the massacre of Sabra and Shatilla in Lebanon in 1982, through his Lebanese Christian Phalangist proxies. Terrorism, military occupation and colonial expansion are some of the main values that continue to define Zionist and Israeli tactics, according to Dr. Adnan Abu Amr, who heads the Political Science Department at the Ummah University in Gaza. “The Zionist movement established a form of organised terrorism in the period that preceded the establishment of Israel. So, they planted bombs in vegetable markets and blew up crowded cafés,” he said. “These acts were carried out by an assortment of terrorist organisations” that later were unified in the form of the Israeli army. Some of these terrorists-turned-politicians included former prime ministers Begin, Yitzhak Rabin, Ariel Sharon, and Yitzhak Shamir, and former chief of staff of the Israeli occupation army Rafael Eitan, and former foreign and defence minister Moshe Dayan. Each one of these leaders has a record dotted with violence. Shamir served as the prime minister of Israel from 1986-1992. In 1941, Shamir was imprisoned by the British for his role in the Stern Gang. Later, as a prime minister, he ordered a violent crackdown against the mostly non-violent Palestinian uprising in 1987, deliberately breaking the limbs of kids accused of throwing rocks at Israeli occupation soldiers. “Terror was and remains the principal strategy of the Zionist leadership to usurp the land of the Palestinians,” said Al Haj, who is now 85, living in Gaza, where he experienced military occupation for 50 years, several massively destructive Israeli wars and a decade-long siege. —Ramzy Baroud is a journalist, author and editor of Palestine Chronicle. His forthcoming book is ‘The Last Earth: A Palestinian Story’ (Pluto Press, London). Baroud has a Ph.D. in Palestine Studies from the University of Exeter and is a Non-Resident Scholar at Orfalea Center for Global and International Studies, University of California Santa Barbara. His website is www.ramzybaroud.net.